I've been reading a lot of Vonnegut lately, it seems. For the last few months, every time I've been to a bookstore, I've inexplicably found myself pouring through whatever novels they happened to have from the great American. Ooh, Slapstick, the impossible sci-fi madness that Vonnegut himself dispised. Ah, a new print of Slaughterhouse-five with the original hard-cover jacket and illustrations. 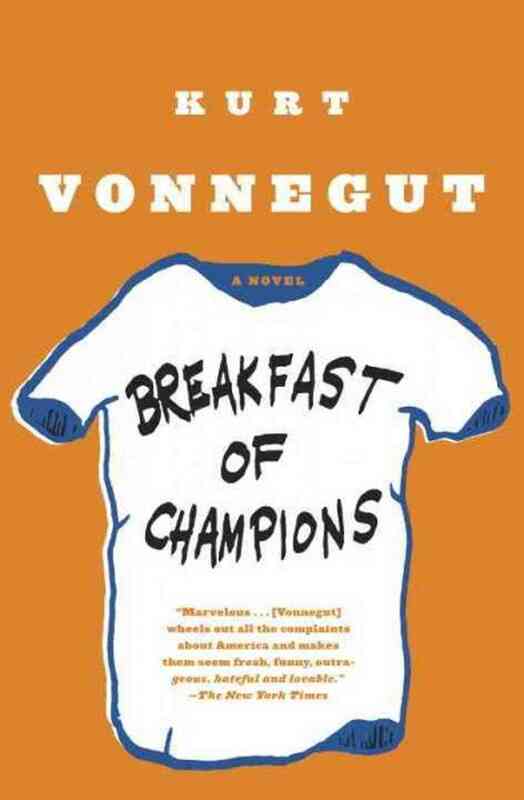 Breakfast of Champions seems like the most logical thing to read after Timequake, a semibiographical work that a friend of mine said was "like Breakfast of Champions, only written twenty years later". My curiosity aroused, I decided to take a look at Breakfast of Champions, and was definitely not underwhelmed. It is a beautiful tale of madness, Americana and authorship, and is laced in Vonnegut's sharp observations and witty humor, however black that may be at times. The book itself seems to be a sort of 50 year birthday present to the aging author (not unlike Timequake) and once again Vonnegut features prominently both as himself and as his long-time alter ego Kilgore Trout. All in all, Breakfast of Champions is not a departure from his style, and fans of his other work will immediately recognize some of the same characters that appear in his other novels. Here I do have to admit that Breakfast of Champions is not an easy book to describe (especially since I'm writing this a few weeks after having finished it). It's one of those things that you need to see for yourself to believe. To Vonnegut fans, everything will seem familiar from page one, but to everyone else, it will seem confusing or unfocused. As a novel, it is strangely unconfined by most typical settings and almost seems to be in a category of its own. 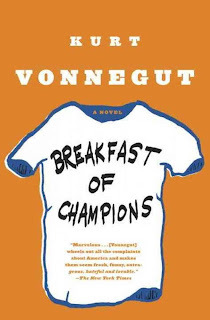 As for future readers, I recommend a healthy dose of other Vonnegut novels before reading this one. Those with little taste for black humor need not even bother.